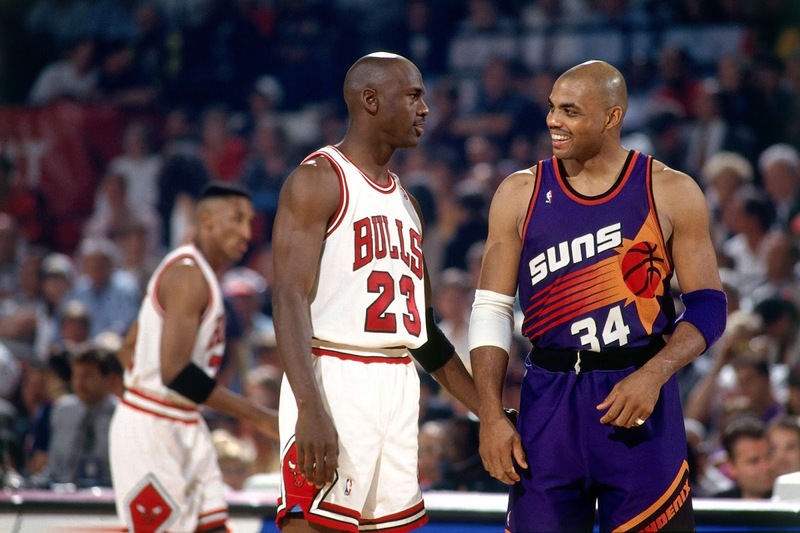 For many, the 80s and 90s are the greatest time in basketball. The defensive play was more intense, the athletes were more focused in certain aspects, and the overall play was much more physical. 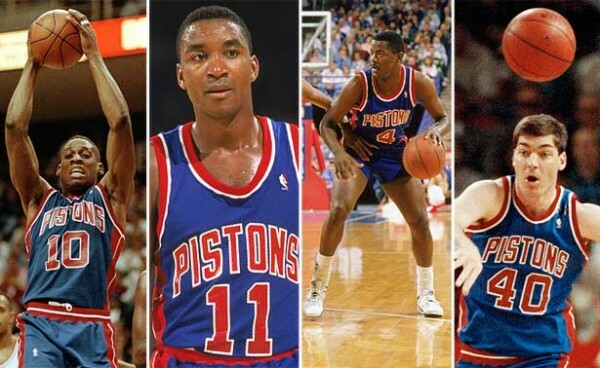 While there were a number of legendary players, one thing I wanted to look at was the best teams of that era. The 80s and the 90s. 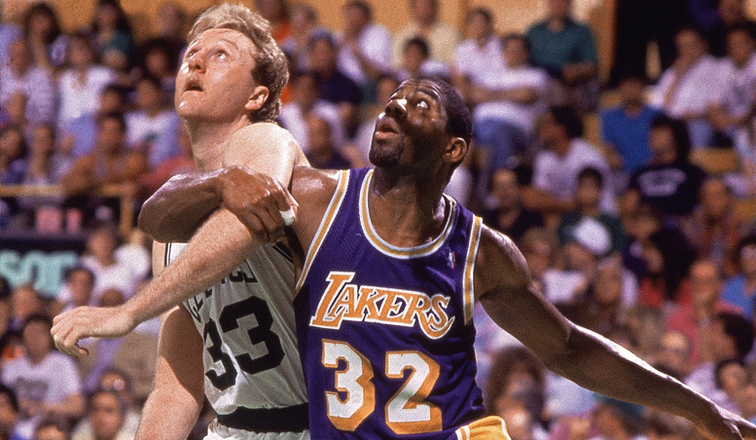 Without further adieu, let's take a look at the 15 greatest NBA teams of those two pivotal decades. -This team was special. The Bad Boy Pistons continued their epic run with their straight trip to the Finals and their second NBA Title. The regular season saw the team coast a bit, as they finished with the best record in the East, but made it look virtually easy yet again. By the time, they reached the playoffs, they were heavy favorites, and their journey back to the Finals would be an interesting one. After two virtually easy opening series victories with the Pistons sweeping the Pacers, and then disposing of the Knicks in 5 games, the Pistons would face off against their nemesis, the Chicago Bulls, in the Conference Finals. After a hard fought 7 game series, the Pistons made the Finals and would end up taking on the Blazers. 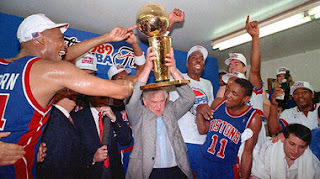 In a very close and hard fought series, the Pistons won in 5 games to go back to back as champions. -The last title for the Showtime Lakers era is important. It was the end of an era. 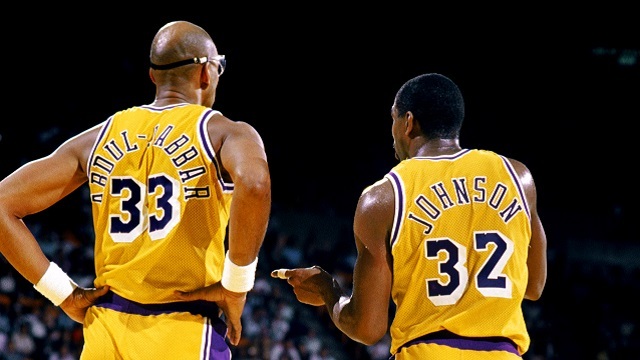 You can tell that the Lakers were nearing that end, as Kareem was getting older, Magic was in his prime, and big game James Worthy was also getting older. 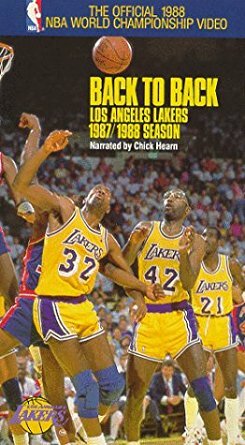 Still, the Lakers ruled with an iron fist, finishing with a solid 62-20 record in the regular season, but struggling some in the playoffs for the most part. After a first round sweep of the Spurs, the Lakers had a hard fought 7 game battle with the Jazz in the 2nd round, a 7 game battle in the Conference Finals with the Mavericks, all leading up to the epic 7 game series with the Pistons. The Lakers won their last title for the next 12 years during this season and etched their name into history even more. 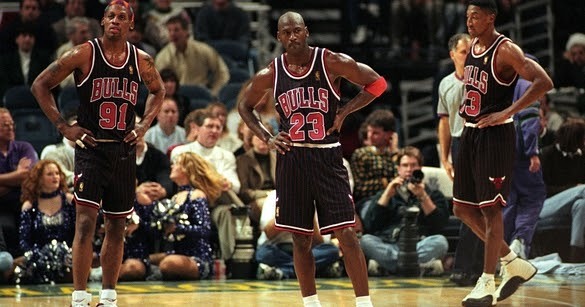 -This Bulls team took the approach of less is more. Jordan had another magnificent season in the regular season, but the Bulls would enter the playoffs as the no. 2 seed instead of the no. 1 seed, an unfamiliar spot for them based on their last two championships. They would not have home court advantage throughout the entire playoffs, but that didn't matter anyways. 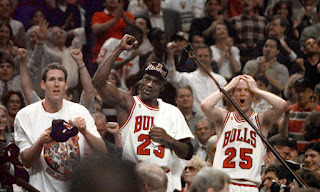 After a first round sweep of the Atlanta Hawks and a 2nd round sweep of the Cavs, the Bulls got taken to 6 games by the Knicks before finishing them, and another 6 game series saw them dispose of the Phoenix Suns in the NBA Finals to win the NBA Title on the heels of the greatest NBA Finals performance by Michael Jordan. This was a great season for the Bulls. -You might be surprised to see the Rockets slightly lower than expected. You might be surprised to see the 1995 Rockets missing from this list, but it's for good reason. Their regular season record wasn't the greatest and they entered the playoffs as the 6th seed, struggling at times as they adjusted to the addition of Clyde Drexler. Still, the 1994 Rockets was special. Finishing with a great record on the regular season, they were the 2nd seed in the West and seemed focused on making it to a championship. The first round saw them beat the Blazers, the 2nd round saw an epic comeback in a 7 game series against the Suns, the Conference Finals seemed to be a breeze with a 5 game win over the Jazz, and one of the best NBA Finals ever came during this run with the Knicks and Rockets in an epic 7 game series. 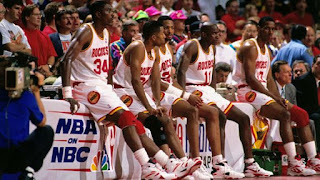 The Rockets won the title this season and Hakeem capped off his career year with a Finals MVP. -This will likely be the most debated team on the entire list I'm sure. 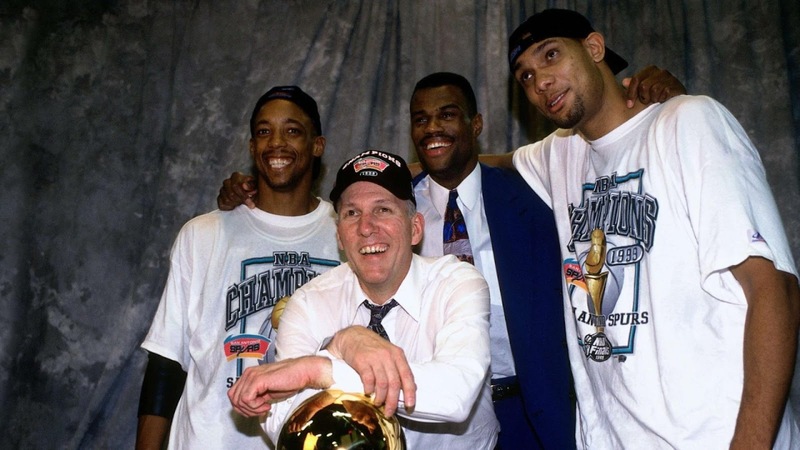 Make no mistake however, this Spurs team was special. 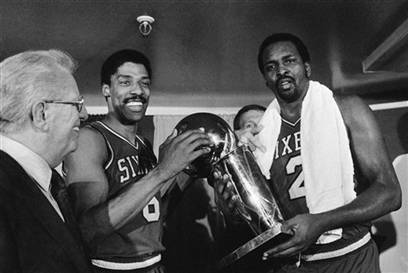 The lockout season shortened their run, but they finished with a great record and the no. 1 seed in the West. After the regular season, the Spurs won in the first round over the Timberwolves, they had an easy win over a young Lakers team in the 2nd round, and a quick sweep of the Blazers in the Conference Finals, before an easy 5 game series against the Knicks in the NBA Finals. The Spurs dominated this season on many levels and we saw the crowning of Tim Duncan as the man for San Antonio going forward. 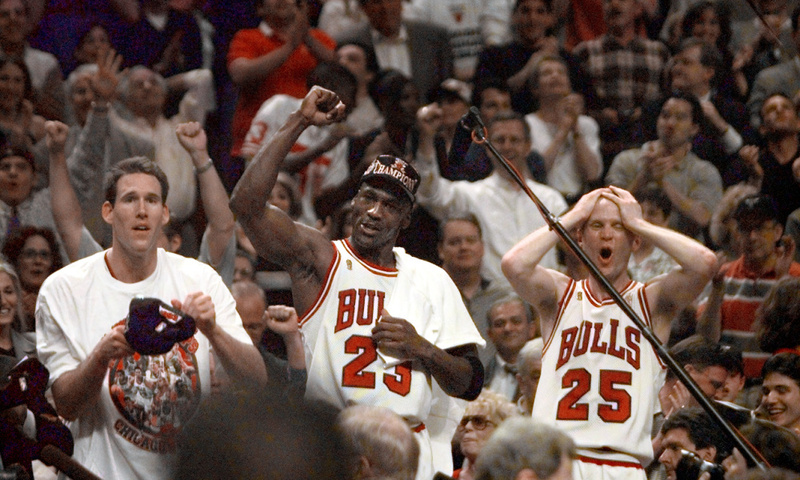 -The final season of the dominance of Michael Jordan. The Bulls had went back to back yet again, and looked to complete yet another three peat. 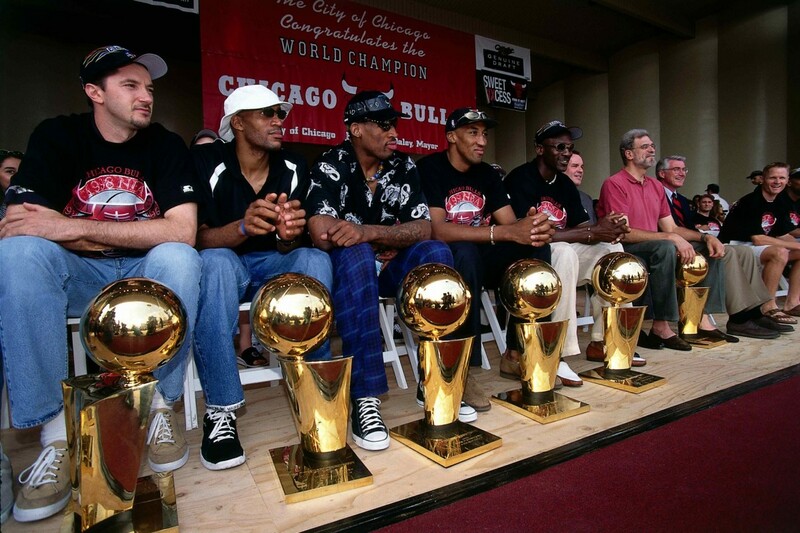 With the regular season in the books, the Bulls were on a mission to win their 6th title in 8 seasons. They entered the playoffs as favorites, with an inevitable rematch on the way against the Utah Jazz in the Finals. 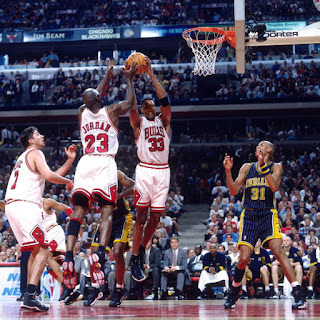 To get to that rematch, they would sweep the Nets in the first round, defeat the Hornets in the 2nd round in 5 games, and got pushed to the limit by the Pacers in the Conference Finals with an epic 7 game series. The rematch with the Jazz in the Finals happened... but the outcome was the same as the year before. The Bulls won in 6 games and won their 6th title, solidifying their dynasty as the greatest of the 90s. 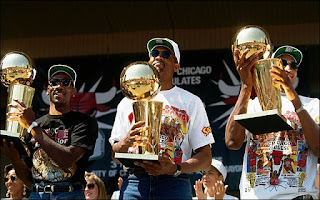 -You know you're likely to see every single Chicago Bulls title from the 90s on here. That's how dominant they were. This year was the beginning of the legend for sure. 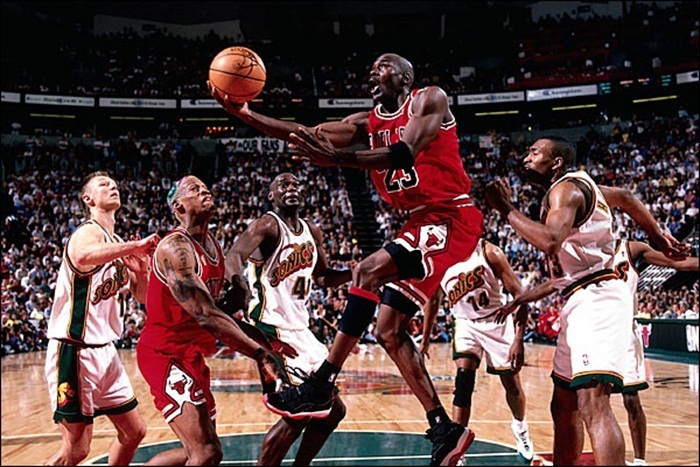 Jordan would finally reach the pinnacle and he made it look easy. The Bulls coasted through the regular season, earning the no. 1 seed in the East, then proceeded to have one of the best playoff runs ever. With a sweep of the Knicks in the first round, a 5 game victory over the 76ers in the 2nd round, and a sweep of the Detroit Pistons in the Conference Finals, the Bulls made the Finals and had to stop the aging Showtime Lakers. They would do so in 5 games, making it look easy, and setting themselves up for a dynasty in the future. The beginning of the Jordan era officially started here this season. -The 1985 Lakers showcased some of the most amazing basketball played thus far during that era. They coasted through the regular season with another 60 win season, then they came into the playoffs looking for redemption. They would sweep the Suns in the first round, soundly defeat the Blazers in 5 games, easily defeat the Nuggets in 5 games, before having a showdown with Celtics and defeating them in 6 games in the Finals. 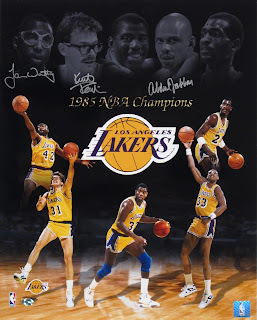 Another Showtime Lakers successful season, the most dominant team of the entire 80s. 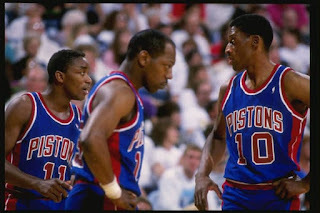 -The start of the Bad Boy Pistons era for sure deserves to be ranked as high as possible. 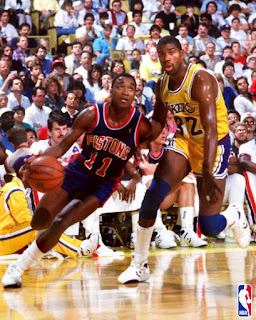 It was a heartbreaking loss for the Pistons the year prior to the Lakers, but they came back with a vengeance this season and went to their second straight Finals. 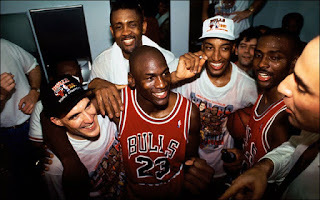 After a dominant regular season, they had a very easy path to the Finals, going 15-2 in the playoffs after dominating sweeps of their rival Boston Celtics and the Bucks, before having a hard fought series that engineered the start of the "Jordan Rule" against the Bulls, before they made easy work of the Lakers in the Finals by sweeping them. The Pistons dominated the entire year and let the world know, they were a dynasty focused on staying on top. -The illustrious "fo, fo, fo" team has to get a mention here. There is no question. Moses Malone joined the 76ers and they seemed poised to be unstoppable. They were. 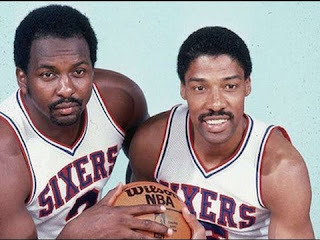 After a huge regular season, the 76ers then took their stacked roster featuring Julius Erving, Moses Malone, Bobby Jones, Mo Cheeks, and more into the playoffs for what would end up as one of the most dominant runs in the history of the game. After a sweep of the Knicks in the Semifinals, a 5 game disposal of the Bucks, then a sweep of the Lakers, the 76ers took their position as NBA Champions and one of the best teams of all time. 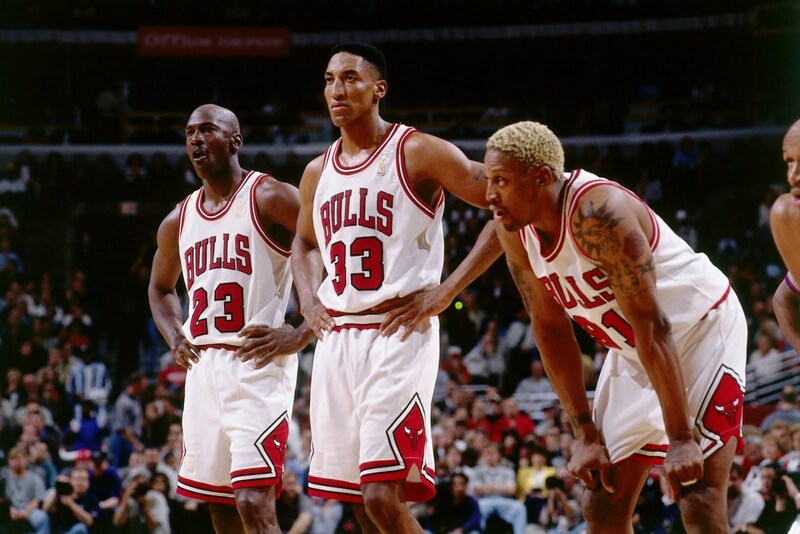 -The 1992 Bulls were essentially the product of Michael Jordan really continuing his stride in his prime. After his first championship, Jordan, Pippen, and the rest of the gang came back focused and they would finish with one of the best regular season records in the history of the game, before going into the playoffs ready to win big. 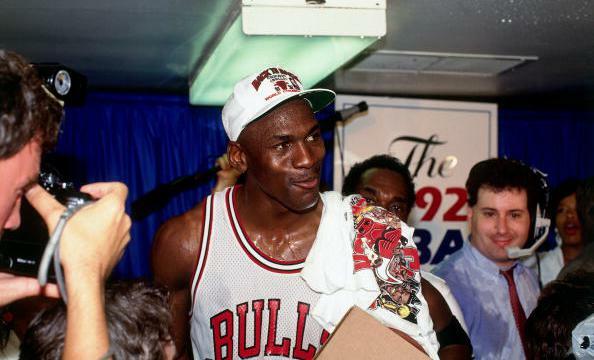 The Bulls kicked it off with a first round sweep against the Miami Heat, before having an epic 7 game Semifinals series against the Knicks, then dominated a 6 game Conference Finals over the Cavs before a strong showing in the NBA Finals against the Blazers. That victory ended them their 2nd straight title and a place in the history books for sure. -This might be my favorite team in the entire Showtime Lakers era. Something about their focus and their desire to win made them amazing to watch. While I didn't watch this as it happened (wasn't born yet), doing all of my research and watching a large number of the games during this season really painted a clear picture of how great they were. 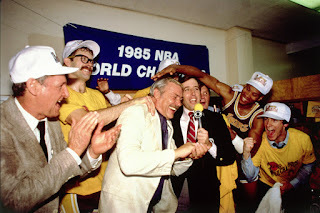 After the first round showed the Nuggets were no match for them as they swept them, the Lakers bested the Warriors in the 5 games, swept the Supersonics, and then defeated the Celtics in a 6 game series that was one of the more entertaining Finals ever. 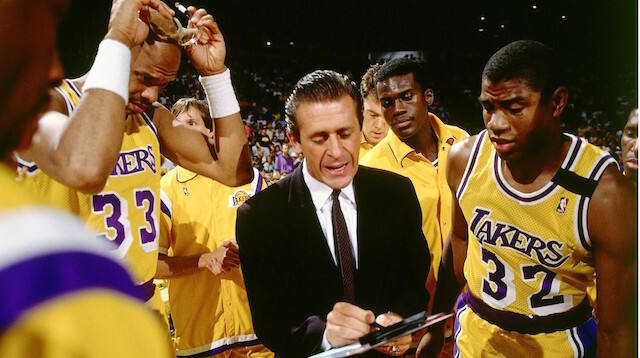 The Lakers had what might have been their overall greatest season as a team with playoff dominance and regular season dominance both showcased. 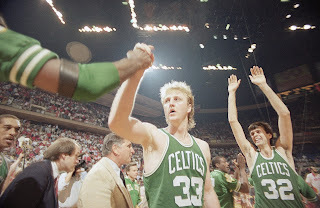 -Of all the Celtics teams that dominated the East in the 80s, this was the greatest. Hands down. 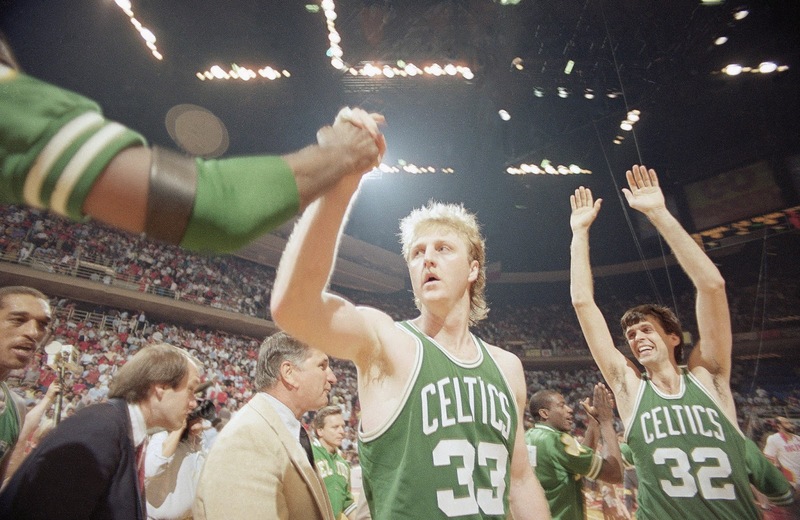 The Celtics had solid teams during the 80s, but this was their greatest feat. After a dominant regular season, the Celtics faced an overmatched Michael Jordan and Chicago Bulls, and swept them, beat the Atlanta Hawks in 5 games, defeated the Bucks in a 4 game sweep, and bested the Houston Rockets in the NBA Finals in a mostly dominant 6 game series. The Celtics put their names in the history books with this epic season and their spot in the top 3 is solidified. 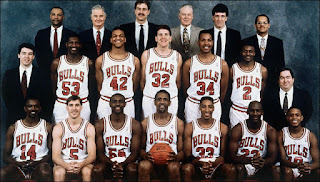 -The 2nd greatest NBA team ever came a season after the greatest team ever. Truthfully, the Bulls faced a few injury issues this season, and that kept them from making history as the only team to win 70 games twice. 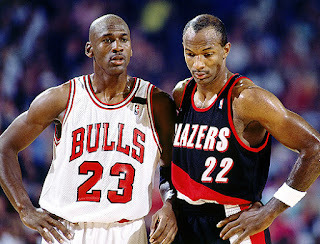 Still, this season was another magnificent season where I felt Michael Jordan was robbed of the MVP award. That aside, the Bulls made it look virtually easy in the regular season and playoffs once again, and they were definitely on a mission to make a statement going for their 5th title in 7 seasons. After a huge regular season, they would make easy work of the Washington Bullets, then make relatively easy work of the Atlanta Hawks in 5 games, the Miami Heat in 5 games, then won the title after a 6 game victory over the Utah Jazz. 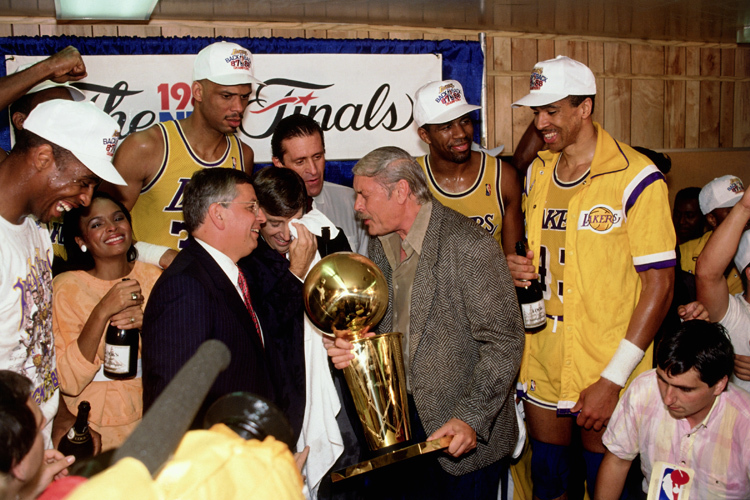 It was the cap off to a near perfect season for the best NBA dynasty of this era. -Would you expect anyone else? It's as simple as this. This is the greatest team ever. 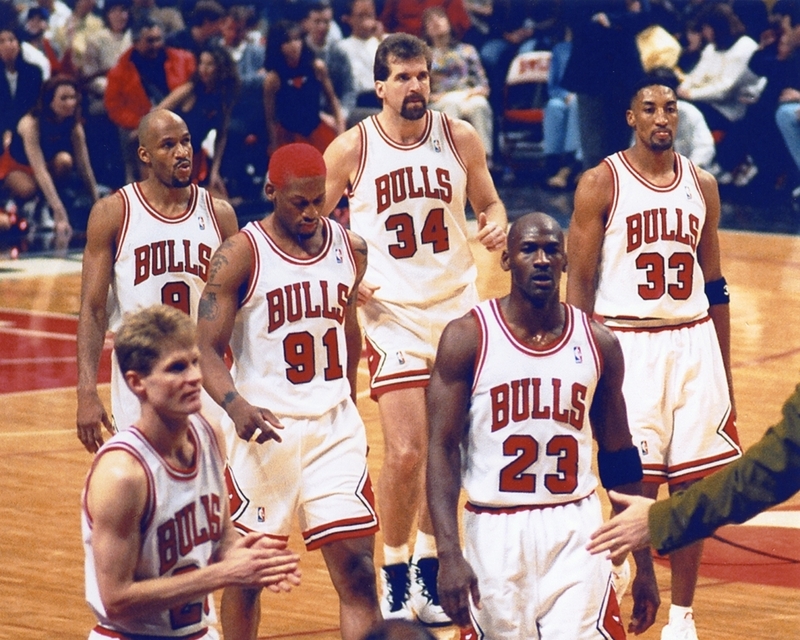 The Bulls were looking for redemption as they saw an early exit in the Semifinals in 1995 due to the struggling chemistry with a returning Michael Jordan and the Orlando Magic juggernaut that eliminated them in the 2nd round. They would come back this season, kick things off the right way, and make history. 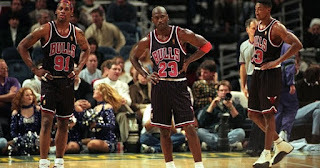 In addition to the excellent play of Jordan and Pippen, Dennis Rodman added a defensive kick that they needed for sure. Heading into the playoffs, the Bulls were on a mission. 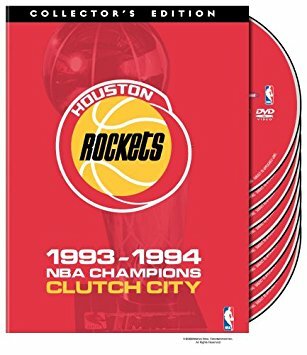 That mission led them to a first round sweep of the Miami Heat, a 2nd round victory over the Knicks in 5 games, a Conference Finals sweep of the Orlando Magic, and a mostly easy 6 game victory in the Finals over the Seattle Supersonics. 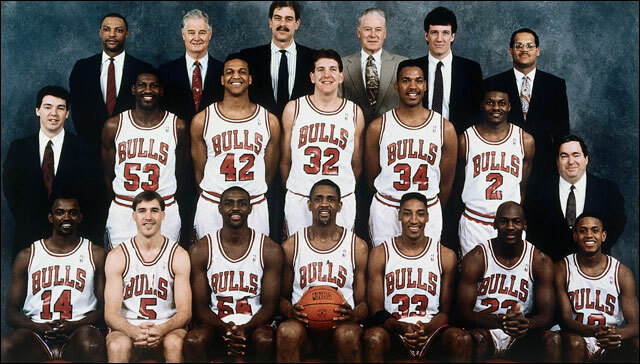 This is the greatest team of all time, so it should be no surprise they are no. 1 on this list.